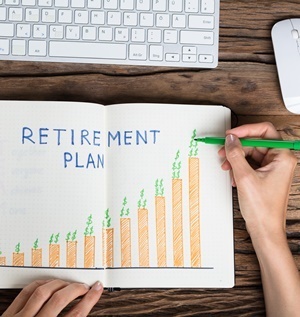 The retirement savings cost disclosure standard of the Association for Savings and Investment South Africa, which came into effect on March 1, 2019, could be a game changer - though it won't necessarily fix all the industry's problems in one go, says David Gluckman, head of special projects at Sanlam Employee Benefits. The cost disclosure standard aims to assist employers or boards of trustees when comparing quotations from different members of the association regarding retirement fund products. It sets out the minimum cost disclosure requirements for Asisa members in addition to the disclosures required in terms of relevant legislation. According to Gluckman, it is a reasonable approach to ensure that employers understand charges for retirement products before making purchase decisions. At the same time, he said, he does not want to create the impression that this standard of disclosing charges will be a panacea for everything in the industry. "Charges and costs are not near the top of the list of factors impacting retirement outcomes. That does not mean it should not be tackled, though," he said at a media briefing on Thursday. "We think intermediaries will still have an important role to play in certain areas," he said. "An element we are struggling with a lot, though, is that many investment managers are not used to giving us the type of detailed information now forming part of the RSC standard. So, there will be a lot of work to be done." At Sanlam Employee Benefits, they provide clients with an additional annexure in order to be compliant with the RSC standard. "One has to compare apples with apples. Costs are just one element of the overall value proposition. Disclosure requires the analytical ability to interpret the data. Good consultants will be well placed to show their value in this regard," said Gluckman. He does not think the issues related to the requirements of the RSC will be sorted out by the industry before the end of the year, due to teething problems. "After September 1 all the umbrella fund product providers will have to provide the same cost disclosure. The consultants will then analyse these, and refinement will happen," said Gluckman. He foresees that at the end of the day, the decision to purchase a product will ultimately be influenced by the cost disclosure. Providers will start to see how they can be competitive and change their products to address problems, ultimately enhancing products. "I don't think it will be perfect in the industry by September 1, but I think about three to four years down the line the industry will have ironed out the teething problems and employers will be making more informed product purchase decisions. This will be a good thing for retirement fund members, in my view," he said.